A key consideration for any online poker player, whether experienced or a complete beginner, is where to play. 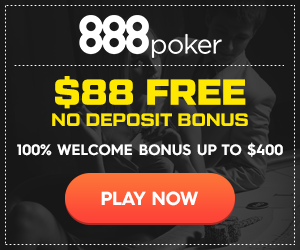 The poker site that you choose will have a significant impact on your enjoyment of the game, and may even affect your chances of winning money. This is why it is essential to pick the right site, although this is easier said than done. The standard of poker rooms varies greatly and it can be difficult to know which the right site for you is. If you live in the US, you also have to deal with the issues that not everywhere accepts US players and there is no nationwide regulation of online poker. The positive news is that things are starting to change regarding regulation, at state level at least, as many states are looking to introduce legislation relating playing poker online. Nevada has led the way in this respect, and recently formally legalized online poker. Legislation is an important subject for US poker players, so we have discussed this in more detail further down this page. We recognize that the priority for most players, though, is simply finding somewhere reputable where they are allowed to play. This is why we have ranked the leading poker websites for residents in different parts of the world. Below is our list of the best Nevada poker sites, and these are all of a very high standard. Please read on to find out how we go about ranking these sites. Our process for ranking poker sites is in essence quite straightforward. There are several factors that make for a good poker site, so we take a close look at a wide variety of different sites and rate them according to these factors. Particularly important considerations include the deposit options offered, the quality of the software, the range of games and stakes available and the number of players at the tables. Once we have determined which the best sites overall are we then look at categorizing them based on more specific criteria. Quite simply, the sites that we have listed above are the highest rated sites that accept players from Nevada. Poker players in the US have faced a few challenges in recent years when it comes to finding places to play online. Many poker sites stopped accepting US players following legislation that changed the laws about processing financial transactions relating to internet gambling. It has never been deemed illegal for a US resident to play the game online and a number of sites have continued to welcome Americans, but choices have been a bit limited and some people have been put off playing by the whole situation and a general lack of clarity. As we have already mentioned though, even if there are still no federal laws or regulation directly relating to internet poker, there have been developments recently. A number of states have introduced, or are trying to, their own legislation that clearly makes online poker (and in some cases other forms of gambling) completely legal and allows for the licensing and regulation of poker sites. A fully regulated market in the US is hopefully not far away. It is perhaps not surprising that Nevada, home of gambling in the United States, was the first to offer licenses to poker rooms wishing to operate in the state. The state of Nevada passed legislation authorizing online gambling in 2011 that was subsequently approved by the Nevada Gaming Commission. The basics of the legislation were that operators seeking to provide online poker services would be able to apply for a formal license that would allow them to do exactly that. The original legislation stated that such services could only be offered to players within the borders of Nevada until such time as federal laws were in place to allow otherwise. This aspect has subsequently been amended, and the laws now allow for Nevada poker sites to accept players from other states if an agreement can be entered into with those states. This could lead to interstate poker rooms which should be vastly more viable as they will be able to attract a significantly larger customer base. Las Vegas is in the state of Nevada and is widely known as the premier gambling destination in the world. Despite a relatively small population, there is a huge tourist industry as people come from all over the globe to visit the casinos and enjoy all the other entertainment Las Vegas offers. Gambling was not always prevalent in the state though, and indeed it was prohibited in the early 1900s even though it was quite commonplace in the mining towns at the time. However, a combination of a declining mining output and the effects of the Great Depression mean the economy of the state was in a bad way. The state realized gambling could be a profitable business and it was legalized again in 1931. At around the same time, construction began on the Hoover Dam on the Nevada borders. The then small of city of Las Vegas saw its population swell dramatically as construction workers, and those looking for work, descended. The casino trade increased as the city grew but there was still no real expectation that Las Vegas would become the gambling hub it is today. There were strong links with organised crime and the casinos were largely operated by the Mafia. During the years after the Second World War, Las Vegas began to become popular as a tourist destination and there was even more growth. Millions of people each year were visiting during the 1950s and 1960s, attracted by the lure of gambling, seeing top name stars perform and plenty of other entertainment. 1955 saw the introduction of the Nevada Gaming Control Board, appointed by the Nevada government to regulate gaming in the state. Subsequently, in 1959, the Nevada Gaming Commission was also founded. The well-known business magnate and investor Howard Hughes bought several Las Vegas casinos in the 1960s, and helped to glamorize the region. Over time, the image of Vegas improved considerably and the association to organised crime began to weaken. The desert town has gone from strength to strength and is renowned as one the most exciting places in the world to visit. Many of the world’s biggest music stars perform in Vegas, major boxing matches are held there, and there are a string of successful shows. Major poker tournaments, such as the World Series of Poker, also take place in Vegas.